Federal law requires private foundations to submit a copy of their annual Form 990-PF (and Form 4720 when applicable) to the Nebraska Attorney General’s Office and the IRS simultaneously under certain circumstances. 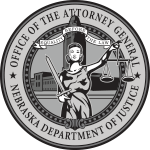 To help streamline this process, private foundations may now submit a copy of their Form 990-PF electronically to the Nebraska Attorney General’s Office through the form below. Private foundations must still separately submit their Form 990-PF to the IRS.